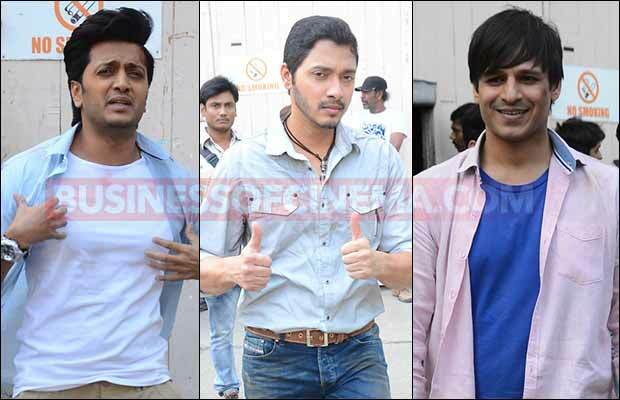 Riteish Deshmukh, Vivek Oberoi And Shreyas Talpade Snapped On Great Grand Masti Sets! 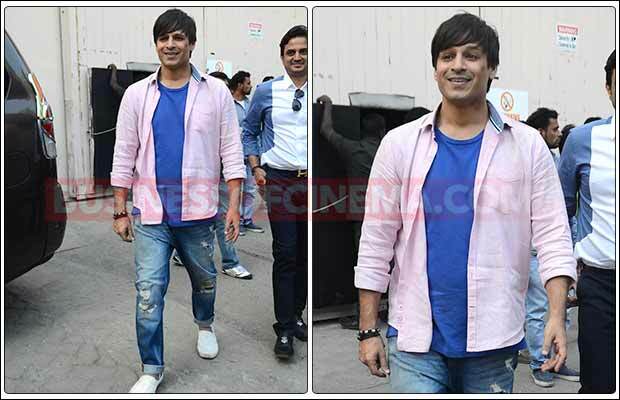 [tps_footer]Bollywood actors Riteish Deshmukh, Vivek Oberoi, Shreyas Talpade were snapped at Mehboob studios, Bandra. 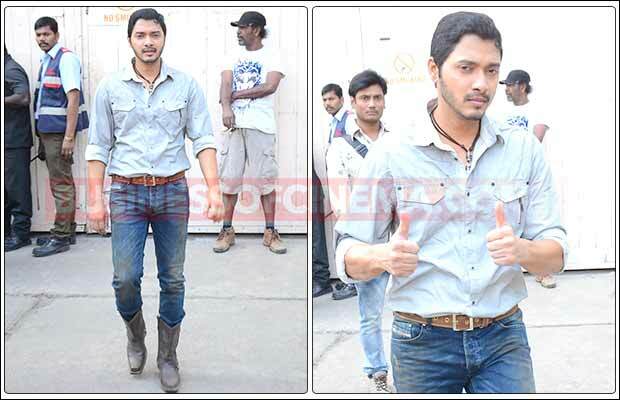 Dressed in casual look, the actors were filming their upcoming movie ‘Great Grand Masti’. The movie also stars Aftab Shivdasani along with actress Urvashi Rautela, Mishti, Shraddha Das and Puja Bose. The film, who’s shooting began in May 2015, is almost in the last stages of filming. Snapped at the studio, the cast happily posed for the shutterbugs as they looked in a very joyful mood. Recently, Salman Khan also visited the actors on the set. He was promoting ‘Prem Ratan Dhan Payo’ in the Mehboob studios. 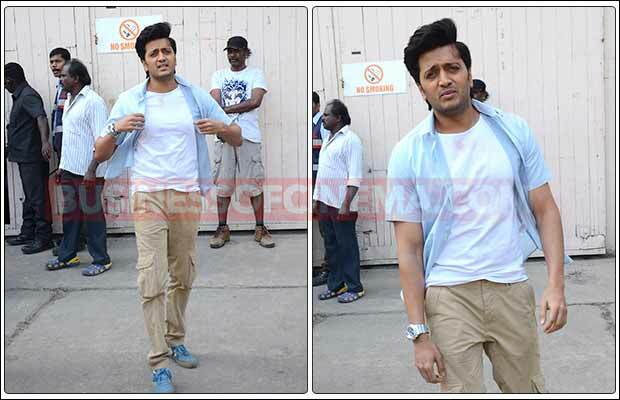 When he learnt about his friends Riteish and Indra Kumar filming the movie in the same studio, he decided to pay the cast a surprise visit. 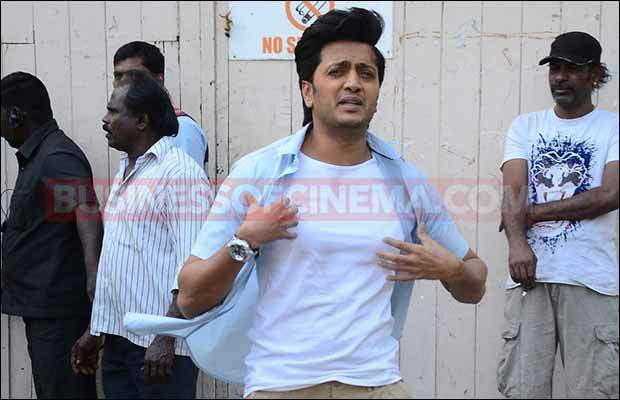 Riteish got into a warm hug when he saw Salman and both Riteish and Aftab were seen laughing out with Salman Khan. 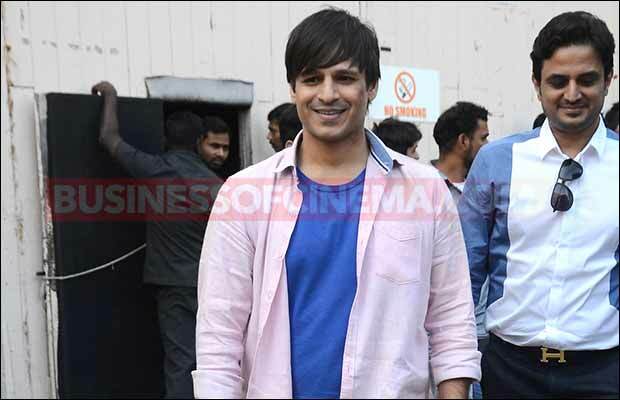 However, Vivek Oberoi, who was also spotted on the same location, seemed to maintain distance from superstar Salman Khan. 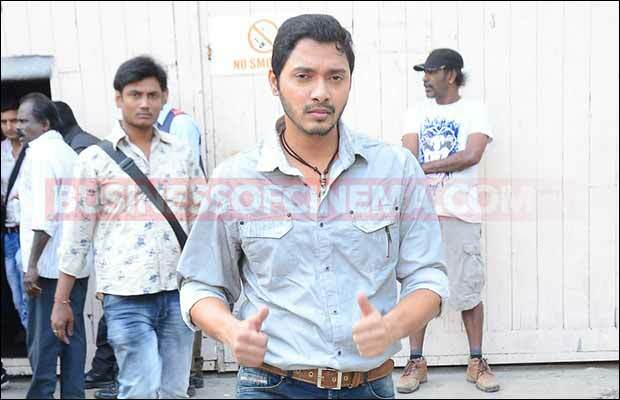 ‘Masti’ makers are on the way of scoring a hat-trick, with ‘Great Grand Masti’. The third instalment is an adult comedy directed by Indra Kumar starring Riteish Deshmukh, Vivek Oberoi, Aftab Shivdasani and Urvashi Rautela in leading roles. Interestingly, the film does not continue from the previous one’s end and is a new instalment. The second instalment, ‘Grand Masti’ witnessed huge success at the box office. The movie is slated to release in 2016. Next articleWatch: Shah Rukh Khan, Varun Dhawan, Kajol, Kriti Sing And Dance At Dilwale Song Launch!